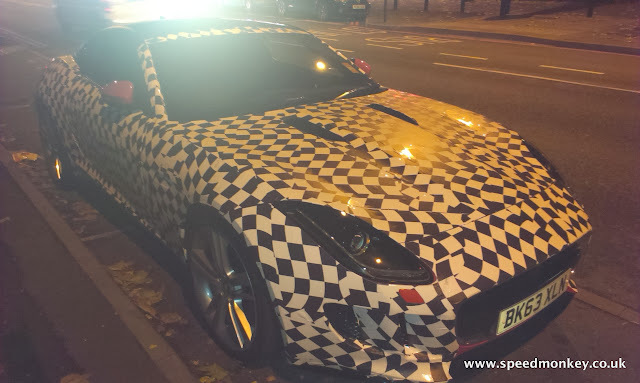 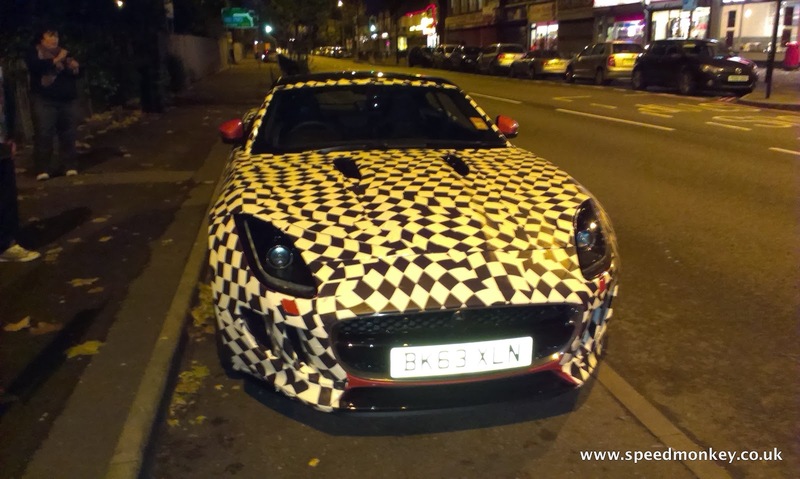 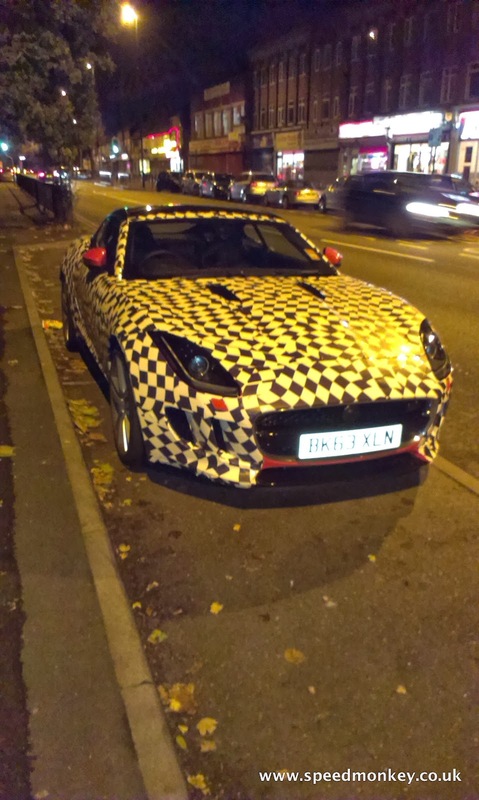 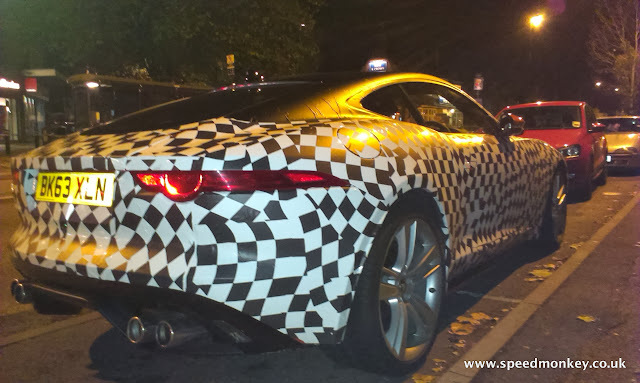 These Jaguar F-Type Coupe spy shots are a Speedmonkey exclusive having been spotted by Tash French and photographed by Leah Rebeccah Sadler. 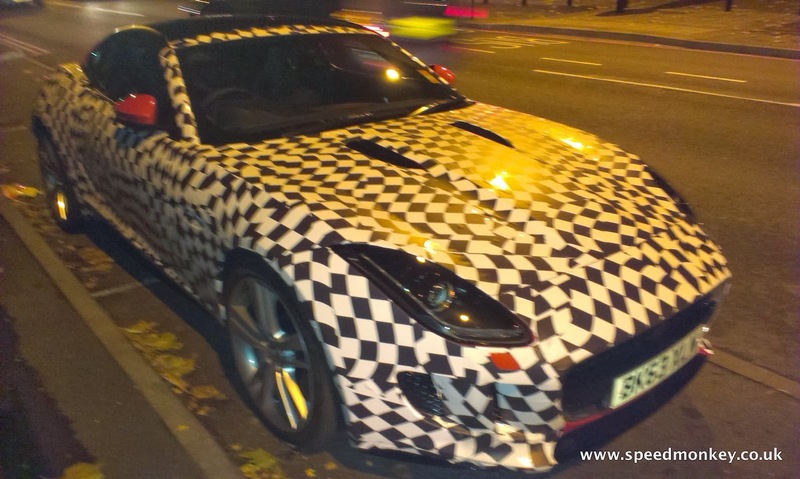 The F-Type Coupe is due to launch on 20 November and so far only a single image has been issued - which you can see here. This car is a supercharged 5-litre V8 and is registered as being orange, which in Jaguar-speak is Firesand; just like the F-Type convertible we recently tested. 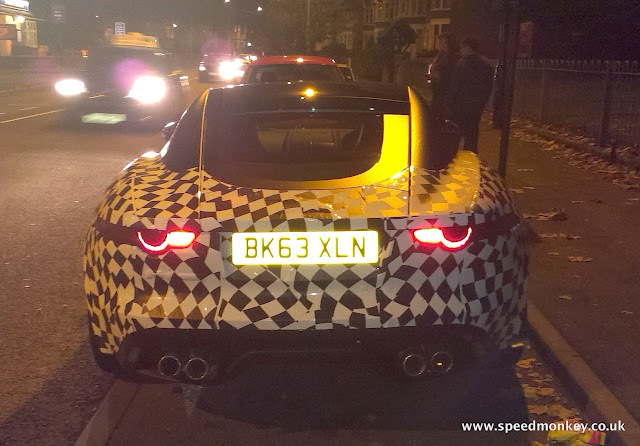 You can see from the rear shots how the waistline of the F-Type looks slimmer due to way the narrowing rear hatch meets the boot. Stay tuned for the official photos on 20 November.